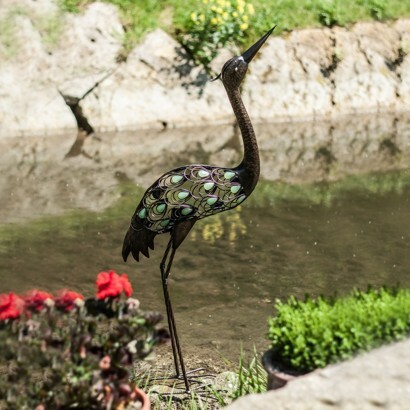 Standing at over a metre tall, this impressive heron garden figure makes a stylish garden feature that not only acts as a protective decoy around ponds, but adds personality to your garden too. 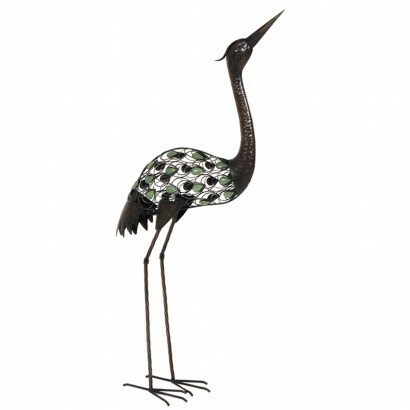 His decorative metal body throws swirling shadows onto surrounding surfaces and features large green glow in the dark beads that add a little extra magic to your garden at night. 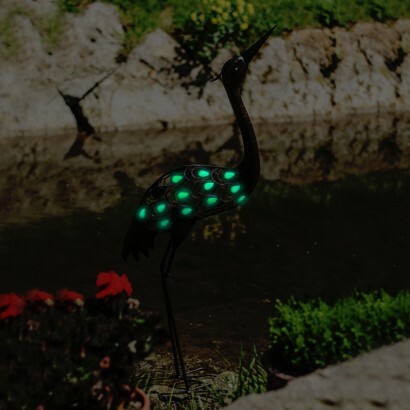 Ideal for patios, decking, borders and pondside, stand this heron where he'll have maximum exposure to light and the glow stones will charge throughout the day and glow green in the dark. Glow in the dark beads must be allowed to charge in the daylight. Please note that the glow perceived will be affected by ambient light, any ambient light shining into your garden will detract from the glow seen. Best effects will be seen in pitch black conditions. 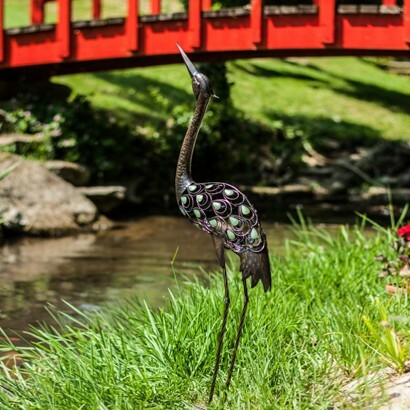 Find out more about how glow in the dark works to get the best from your glow garden heron.